Isabella is the star of a new documentary feature film called The Unknown Upside. Picture: @starfishkids.com.au. 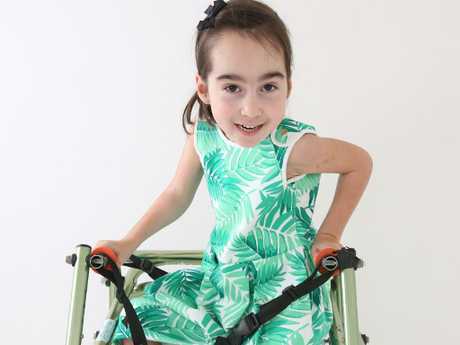 Hundreds will gather to see the brave fight of little Isabella Lombardo, who was born with cerebral palsy. 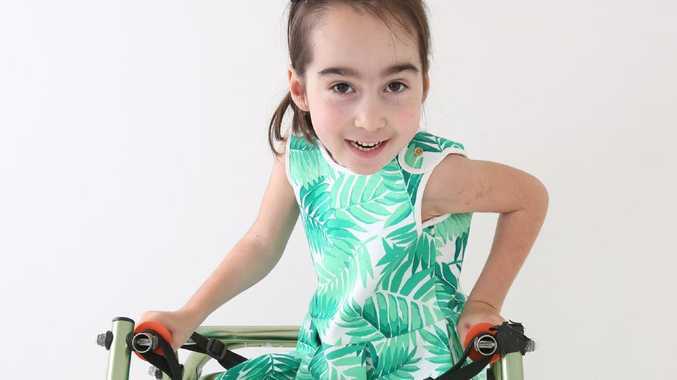 Isabella and her parents, Libby and Joseph Lombardo have been fighting for her independence, spending more than $500,000 on medical bills, stem cell treatment, laser therapy and functional neurology. The Lombardo's worked alongside filmmaker Tim Skinner to capture the six-year-old's journey, which will be screened for the first time on Saturday March 30. "We wanted to share our story of hope and inspiration," Mrs Lombardo said. The feature length documentary follows the Lombardo family as they travel to Mexico for controversial stem cell surgery, where they have been able to witness Isabella's steady progression since then. 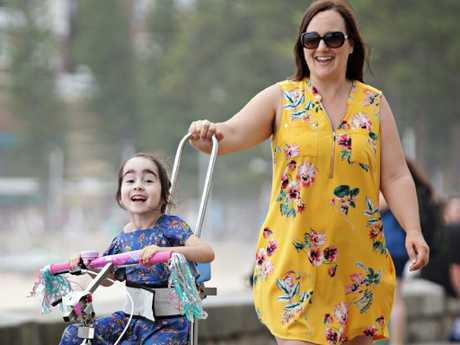 "The doctors were against everything we did but now we have the medical community coming to the premiere on Saturday night," the Frenchs Forest mum said. "We were looking for answers for our daughter out of the normal, and we took a calculated risk and Isabella's outcome is successful and undeniable." Through the power of social media, the film has captured the attention of those living overseas, with one travelling from LA to see the film on Saturday evening. Tickets are still available for Saturday's debut screening of The Unknown Upside and can be purchased via www.theunknownupside.com.au. "We didn't know the power of sharing, our upside in sharing is that we're able to connect with people going through similar things," Mrs Lombardo said. "We're able to help inspire them."